I love my family. We are all a bunch of crazy, weird, intelligent, sarcastic individuals. My girls are turning out to be as quick witted as their aunts and I couldn’t be prouder. We have a lot of fun talking in our own code. I expect most people haven’t a clue what we are talking about when they hear us. Cow sack. We were at the mall on Saturday and had an interesting experience. I was talking to #1 about my writer Facebook page and how I was using it to build my ‘tribe.’ That is code for “getting a lot of friends that will possibly read the rambling things I write so I will appear more credible as a writer.” #1 commented that if I am building a ‘tribe’ that must mean I am the chief. I agreed, that yes, that would be true. She then commented that as a chief, I would most likely need a head dress. 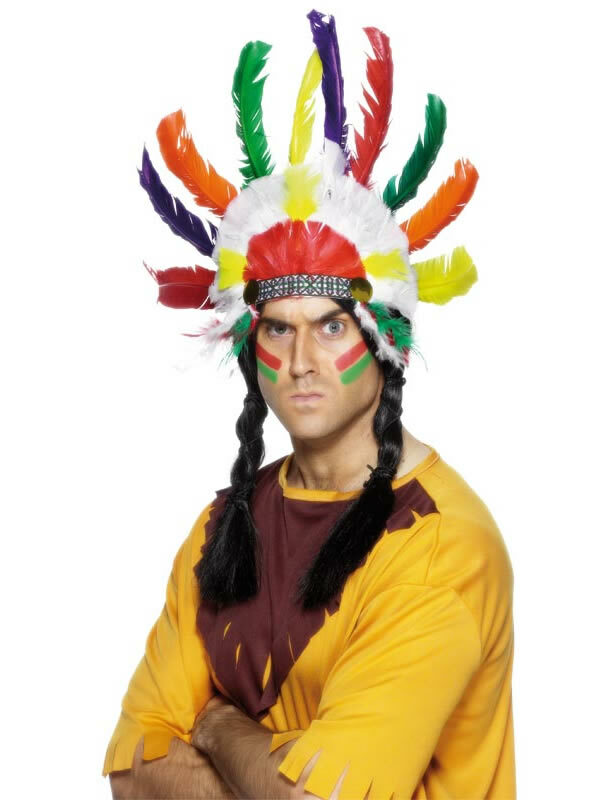 She of course was talking about a ‘native American feathered head dress.’ We turned to the cashier that had been helping us check out and listening to the entire conversation and asked her, straight faced, if she knew of any store in the mall where we could purchase a head dress. Normally, I would expect the cashier to look at us blankly, ask a question like “what are you talking about” or just say no. Instead, this one hummed and thought and even called another cashier over to brainstorm which store would carry a head dress. #1 and I were a bit at a loss for words. We could not decide if we were actually in a mall that carried such things, or if we had been one-upped by some clever cashiers. Were they being sarcastic to us? It was a strange feeling to be on the ‘other side’ of the sarcasm gulf. We walked out of the store unsure if we should laugh at them or if they were laughing at us…. Regardless of it all, we looked and there were no head dresses in the mall. It’s quite a shame too…seeing as I would make a really cute chief-tess…..cause I said so. This entry was posted in Beckie and tagged aunts, daughters, family, headdress, mall, native american, sarcasm, shopping. Bookmark the permalink.